Kostovite is a rare orthorhombic-pyramidal gray-white telluride mineral containing copper and gold with chemical formula AuCuTe4. It was discovered by Bulgarian mineralogist Georgi Terziev (1935–1972), who named it in honor of his professor Ivan Kostov (1913–2004). 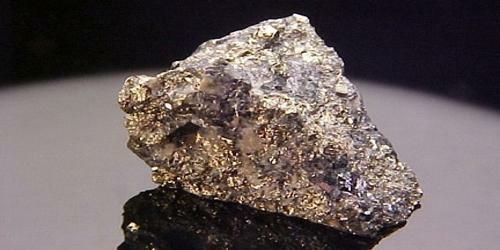 In 1965 kostovite was approved as a new species by the International Mineralogical Association. Most of these minerals were first discovered a long time ago, many of them already in the Nineteenth Century; in some cases even earlier. 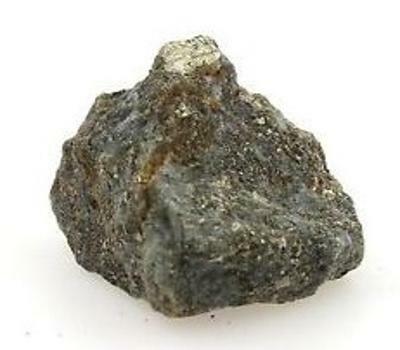 It is an orthorhombic-pyramidal gray-white mineral containing copper, gold, and tellurium. Occurrence: From gold- and tellurium-bearing replacement copper deposits (Chelopech, Bulgaria; Campbell mine, Arizona, USA). The type locality is the Chelopech copper ore deposit, Bulgaria. Small deposits have also been found in Kochbulak (Eastern Uzbekistan), Commoner mine (Zimbabwe), Kamchatka (Russian Far East), Ashanti (Ghana), Buckeye Gulch (Leadville, Colorado, US), Bisbee (Arizona, US), Kutemajärvi (Finland), Coranda-Hondol (Romania), Glava (Sweden), Bereznjakovskoje (Southern Urals, Russia), Moctezuma (Sonora, Mexico), Panormos Bay (Tinos Island, Greece), Guilaizhuang Mine, Tongshi complex (Linyi Prefecture, Shandong Province, China), Kalgoorlie-Boulder City, (Goldfields-Esperance region, Western Australia, Australia).